Welcome to pure GastroNerd heaven. In his book, Lou Di Palo takes you on a culinary tour de force of all of Italy’s most prized creations. He provides backgrounds and histories on all the classics from mozzarella cheese to balsamic vinegar. Did you know that most of the mozzarella we eat in the US is really Fior di Latte because it comes from cow’s milk and not buffalo’s? What I love most about this guide is that he explains how to shop for the different products and how to serve and store them. 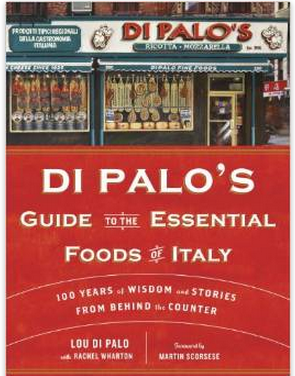 Di Palo’s Guide makes you a better consumer. He also sprinkles a few simple recipes throughout the book that are worth trying. I already made Sal’s tiramisu and it was huge hit. His book is also successful in making you want to shop more at their store. Live in New York and have NEVER been to Di Palo’s? Well then I have your next GastroAdventure! Di Palo’s is one of (if not the last) true vestige of Little Italy. They have an incredible selection of Italy’s best products and all at a very reasonable price. And true to his book, everyone behind the counter will talk you through each product, letting you taste whatever you want and explaining where it comes from and how it is made. Naturally this means the wait time to be served is often quite long, so I suggest going at an off hour if possible. Otherwise grab a number and go to their wine shop next door and explore some lesser known Italian wines. O and when you go to Di Palo’s, you must try their speck- it’s the best in the city! Conclusion: pick up a copy of Di Palo’s Guide to the Essential Foods of Italy. It’s a great gift for food lovers and even more perfect paired with a basket of Italian goodies from their store! We often talk about books as we do meals. Something we devour and savor page by page, word by word. 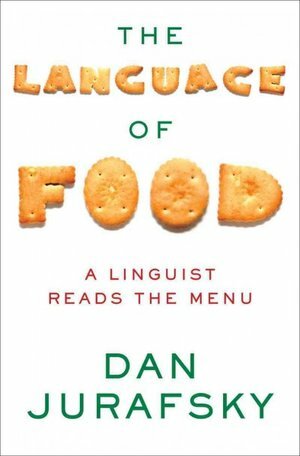 In “The Language of Food,” Dan Jurafsky serves up delicious nugget after nugget. Each fact is just so juicy. Ketchup was originally a fermented Chinese fish sauce? Ceviche and fish and chips are cousins? Delectable! The only sour note with the book is it’s San Francisco-centricity. San Francisco is not the only cultural melting pot within the United States Mr. Jurafsky. However, as it is clearly his hometown, it is easy to see how he would gravitate towards it so easily. Regardless, food nerds we have your next read right here. I will be sure to divulge some more tasty facts shortly.